the kids, or a walk along Little Congwong Beach or just to go to work, you want to know that you have the best locks in town. That’s where your locksmith expertise comes in. Any lock or security problem, is our problem. 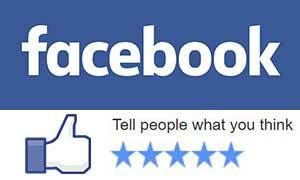 Fusion Locksmiths will fix any locks you already have or install new locks for modern lock up security. 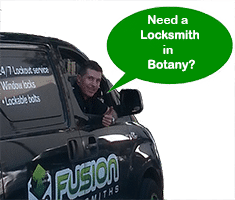 Fusion Locksmiths have partnership with all major brand lock manufacturers and with over 9 years’ experience in Botany we know what kind of security is needed. Our Locksmiths Service Can Check Your Business Security! Businesses often forget about their security, not just for protection of your stock and equipment but also your employees, visitors and customers. You may have checked out your business security when you first moved in but time passes… and things change quickly. There Are a Lot of Businesses in Botany, How Secure is Yours? Our team of experienced and qualified commercial locksmiths are ready to complete a business audit for you. By checking around your business premises inside and out, we can show you exactly how secure your business is – you’ll be glad you did! We have all types of security from keyless locks, safes and security systems, to match all size budgets and needs. Come Home to a Break-In? This is one of the worst things to happen. 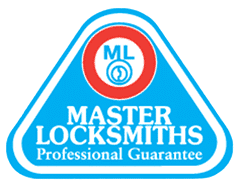 Fusion Locksmiths work hard to make you feel safe again by not just repairing or replacing your locks but securing the whole property, so you can be at peace once again in your own home. We ensure your doors, door jam and windows are secure, not just the broken lock. We see break-ins everyday, and work with the police to keep the Eastern Suburbs and surrounding suburbs safe by preventing crime. We know how the thieves get in and know the right locks to stop them.